A slice of earth full of protected areas. La Spezia is at the centre of an extraordinary system of parks. It is the Hub Town of Marine and Apennine mountain nature parks. The Cinque Terre National Park, theTuscan/Emilian Apennine National Park, the Porto Venere Regional Nature Park, the Montemarcello-Magra Regional Nature Park, the Apuan Alps Regional Park, form a set of varying landscapes which is unique not only in Italy. The Bismantova is a mountain of the Emilian Apennine and is 1041 meters high. It is located in the district of Castelnovo ne' Monti, a country rising to its slope, in the province of Reggio Emilia. 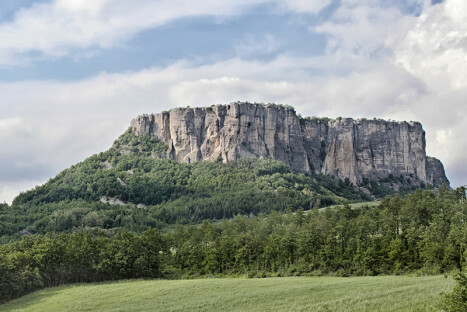 It looks like a narrow plateau with steep walls, which stands isolated in the Apennine mountains. The Pradarena Pass (1579 m) is a Tuscan-Emilian Apennines mountain passage, that separates Tuscany from Emilia and in particular the province of Lucca from Reggio Emilia. The passage is located on the main ridge of the Apennines, between Mount Cavalbianco (1855 m) and Mount Asinara (1750 m). 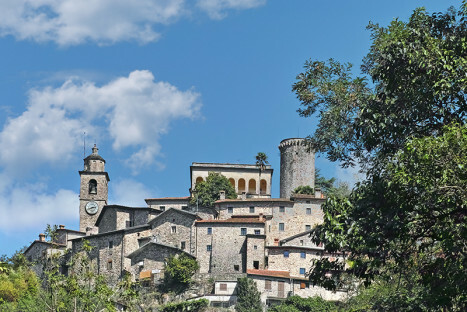 The district of Bagnone, in Lunigiana, covers an area very rich in medieval villages. 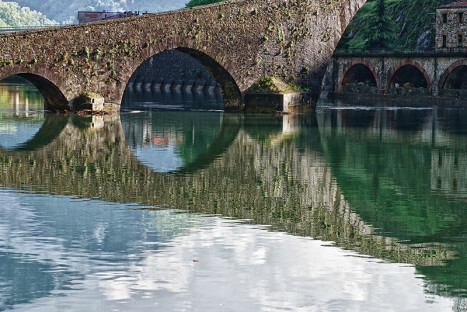 The Maddalena Bridge crosses the Serchio river near Borgo a Mozzano, in the province of Lucca. Commonly it's identified as "the Devil's Bridge". Like many other businesses that seemed impossible to coevals, the popular legend attributes the construction of this bridge to the devil. It's an admirable work of medieval engineering, dating from the fourteenth century. 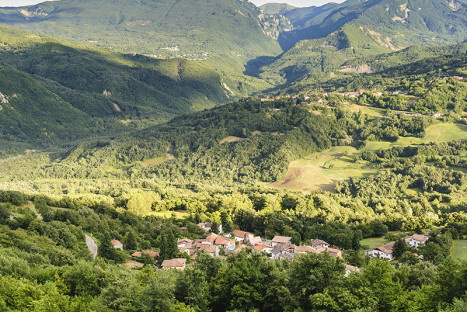 Petrognano is a hamlet of Barberino Val d'Elsa. 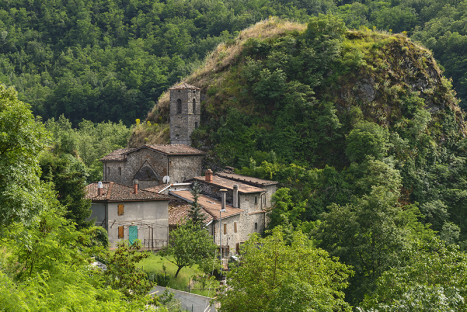 It is a small cluster of houses along the road that leads from Certaldo to Barberino Val d'Elsa and the parish church of Sant'Appiano. 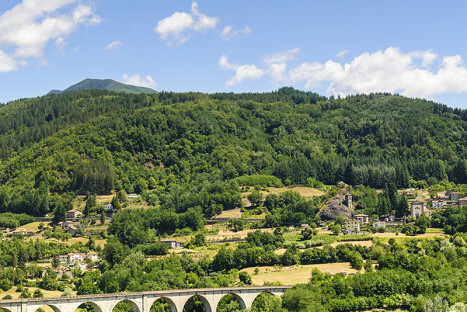 The Garfagnana is an area of ​​the province of Lucca, in Tuscany, between the Apuan Alps and the main chain Tosco Emilian Apennines. Bordered to the north with the Lunigiana, to the west with the Versilia and the province of Massa, to the east with the Emilia-Romagna region (provinces of Modena and Reggio Emilia) and to the south with the Lucchesia, it is entirely crossed by the Serchio River and its many tributaries and it is rich of forests.